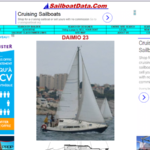 A similar and very nice site about the Daimio 23 sailboat. Klik on the image to go there, the link will open on a new page. 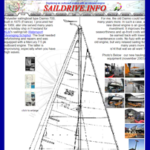 A site about the installation of an inboard diesel engine with Saildrive. A site with some technical data. ZeilersWiki A site with some technical data. This boat is/was available for sale, but it’s just a beautiful website!